Today, I’m generating the dashboard with, as you found it, Paste2SPlunk. It fetches pasties and sends the interesting ones directly to Splunk using the REST API. 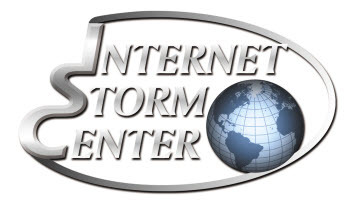 As a regular reader of Internet Storm Center, this was another interesting post, so thanks for that and keep up the good work. I have a question about this post thu, as you start it with this info “Pastebin.com remains one of my favourite place for hunting. I’m searching for juicy content and report finding in a Splunk dashboard” – this sound brilliant. I found out that you back in 2012 made a script call Pastemon, but I don’t think this will work “out of the box” anymore as I can read that Pastebin had made some changes on how to send queries (You need an Pro account now) – so is it your Paste2Splunk python script that you are using today? So installation wise – Do I Git Clone your Paste2Splunk package and then take the settings.conf from PasterHunter package and drop it into your “Paste2Splunk” folder and disable “Outputs” other than Syslog – or? As I’m new to Splunk then the dashboard that you show in the post, how are this setup – is there an guide on how you set this up, or is there an Dashboard template that could be imported? Pingback: [SANS ISC] Fileless Malicious PowerShell Sample – Insuring Your Future… Today.